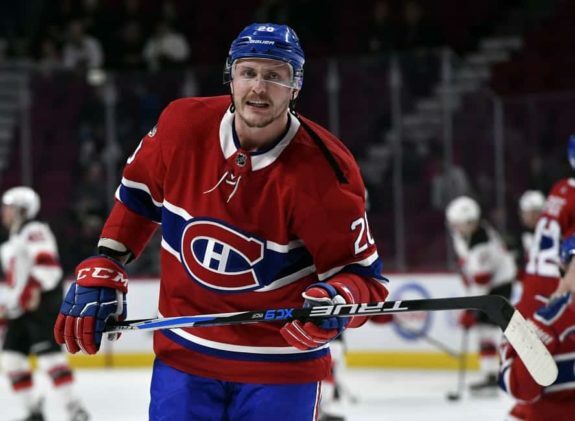 In February’s edition of Habs Fantasy Hockey Roundup, we will be looking back at the month of January to see which Montreal Canadiens’ players were the most effective in the fantasy hockey world, and whether you should be starting them, or adding them to your roster. 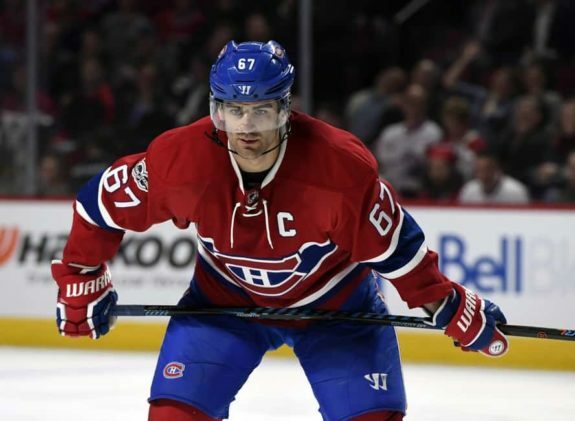 Most of this season’s discussion has been centered around the struggles of Max Pacioretty. While he certainly has not lived up to standards, January was undoubtedly the captain’s best month of the campaign thus far. In 11 games played, Pacioretty led all Canadiens players in goals, points, shots on goal, and was second only to Alex Galchenyuk in special team points. It would not be hard to argue that Pacioretty is in the midst of one of his worst seasons in the NHL, however, he remains Montreal’s most consistent fantasy producers. Averaging 3.6 shots, 1.92 hits, and 0.30 goals per game, Pacioretty is among the league’s top players in fantasy, and should remain in your starting lineups for the rest of the season. While his talent-level cannot be questioned, Galchenyuk’s performance this season has been underwhelming, to say the least. The former third-overall selection in the 2012 Entry Draft has been mostly an afterthought to fans and local media, only discussed in length when talking about possible trade-scenarios with his name involved. Despite all this, Galchenyuk managed to be one of the Canadiens’ top performers in January. In 11 games, the Wisconsin native registered five assists and was tied for second in scoring over that span. He also led all player’s in special teams points with five, and recorded over two shots per game. Consistency remains an issue, but Galchenyuk has 31 points in 53 games with an average of 2.57 shots per game, and is eligible to play centre or left-wing, making him a viable option in fantasy hockey. Like he’s been all season long for the Canadiens, Brendan Gallagher was one of the most important players for the team in January. During the first month of 2018, Gallagher recorded six points in 11 games, and averaged 3.64 shots, and 1.82 hits per game. With a shooting percentage of 10.6, Gallagher is enjoying one his best seasons in the NHL, and is on his way to scoring 30 goals for the first time in his six-year career. The 25-year old is a viable option in fantasy due in part to his point and shooting production, but can also be counted on in leagues that count hits, as he’s averaged 1.13 per game, ranking him second among Montreal forwards with at least 0.30 goals per game. Gallagher is undoubtedly one of the Canadiens’ most effective forwards, and should be in your lineup every night he’s in action. 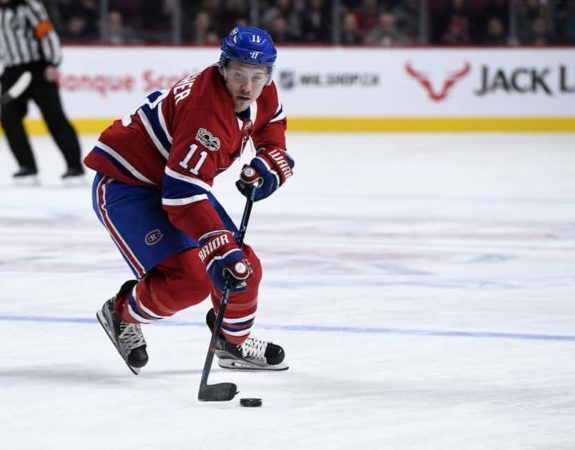 Montreal’s speedy forward was one of their best players over the past month. 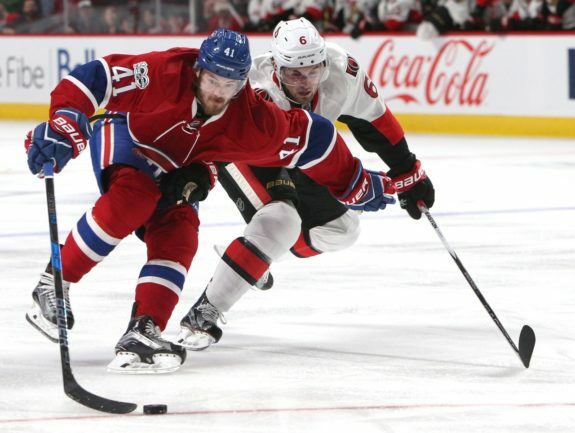 In 11 games, Paul Byron scored three goals, and was tied for second in points with eight. Byron is also currently third on the team with 13 goals this season, and is on pace to reach the 20 goal mark for the second consecutive year with the Canadiens. Despite his small-stature, Byron is also not afraid to play physically, averaging 1.63 hits per game – fifth highest in Montreal. 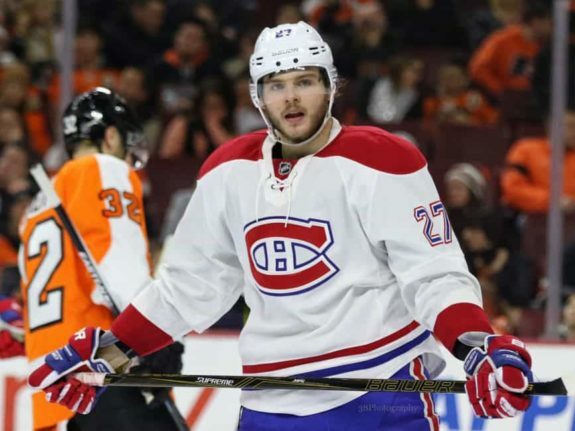 Injuries to centres Phillip Danault and Andrew Shaw have forced head coach Claude Julien to use Byron in the middle of the ice, only further increasing his value to fantasy owners. While he is not a fixture in starting lineups, Byron can be counted on for the occasional start in point-only leagues. Jeff Petry has continued to provide strong and stable play since the Habs lost Shea Weber with a foot injury in December. In January, Petry scored one goal and eight points, and led all defencemen on the Canadiens with four special team points. As Montreal’s most valuable blueliner until Weber’s undetermined return, owning Petry in fantasy hockey should be something all general managers consider. Along with steady point production, Petry can also be counted on in leagues with hits and blocks. In 53 games this season, Petry is averaging 2.28 hits and 1.74 blocks, second and fifth highest on the Canadiens, respectively. Until Weber returns, Petry should bebre in starting lineups. If you find yourself in a league that records hits, and are desperate to improve in such a stat category (like I was), there is no player on the Canadiens more worthy of picking up than Nicolas Deslauriers. Over the month of January, Deslauriers registered 55 hits in 11 games (5.5 per game), and is averaging 4.48 hits per game this season. The first-year Canadien also scored three goals last month, increasing his value even more. Counting on Deslauriers for point production is not recommended, but if you’re a team in need of hits, he is the go-to pick up in the NHL, as he leads the league in hits per game this season.